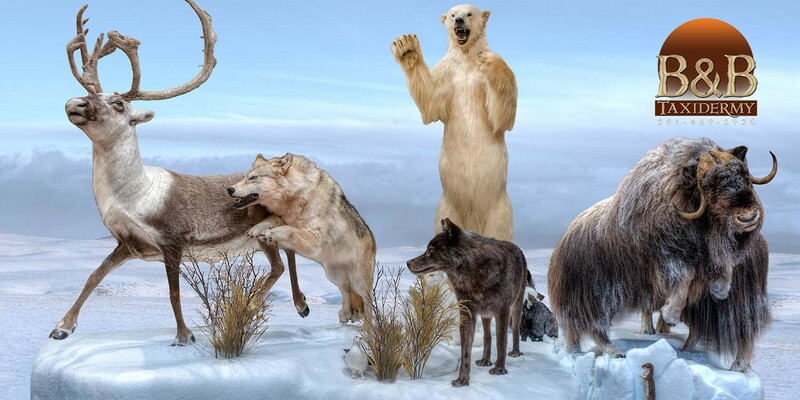 Mike Baird's B&B Taxidermy has been in business since 1983 in Houston, Texas and provides taxidermy for North American and African Mounts. We offer many options for mounting your trophies no matter if it's African, North American, Global or Exotic. Another aspect we have been involved with is designing and decorating Trophy Rooms in homes and businesses. 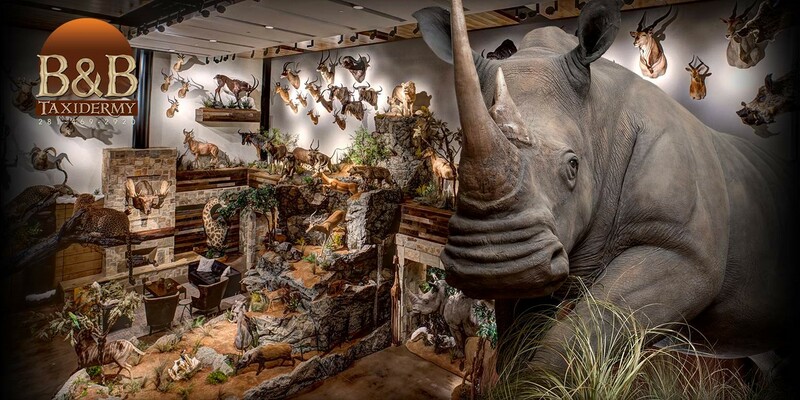 Custom designed dioramas for your trophy mounts can be accomplished above and beyond your expectations. We invite you to stop by our showroom at 11030 Jones Road West, Houston, TX. We will be glad to show all the mounting options to meet your needs. 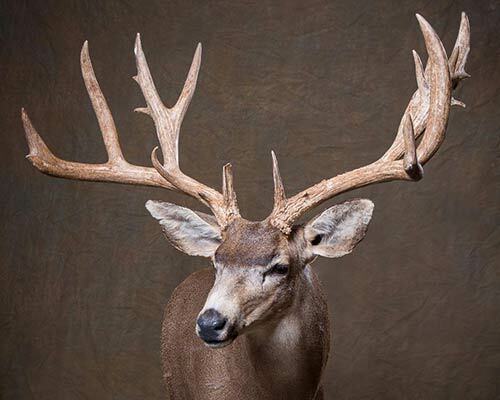 B&B Taxidermy is always looking for new ways to mount your trophies and preserve that for a lifetime of memories. 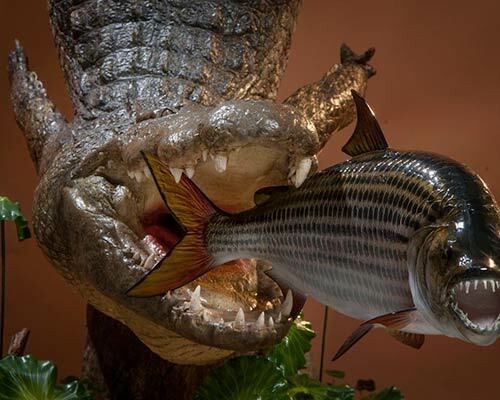 African Taxidermy is a specialty of B&B Taxidermy. We have mounted thousands of African Trophys for customers worldwide. For the best in products and services... B&B Taxidermy is the company to call on! One of our largest client bases are deer hunters! We at B&B Taxidermy have mounted many deer as well as other North American mounts such as bear, elk, moose and much more! Call us for more information! 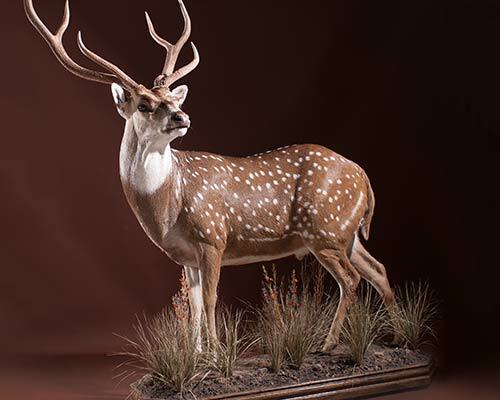 Exotics such as Axis and Fallow deer are routinely mounted at B&B Taxidermy. Don't have a place to hunt exotics... The Bairds have a great exotic game ranch near Iola Texas! Your sure to harvest a great trophy there! Want something that will leave your family and customers gazing in awe? 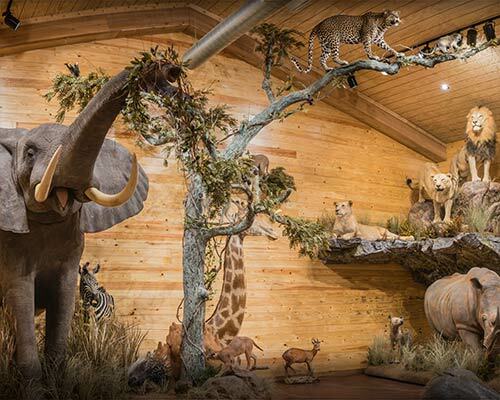 Taxidermy Trophy Rooms by Mike and Frand Baird and Staff will fit the bill. 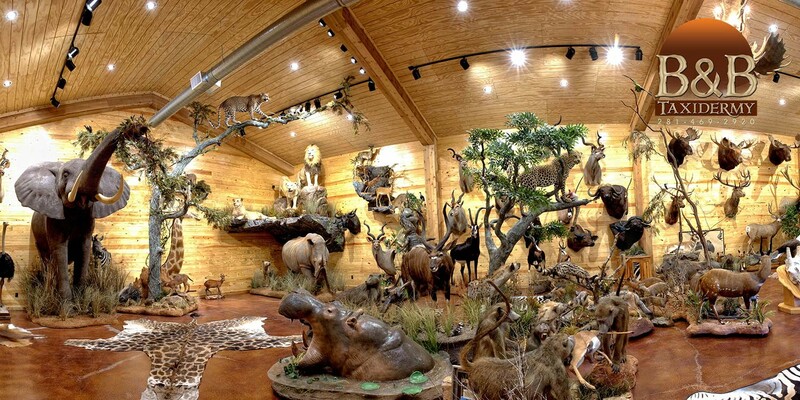 Our clients LOVE their Trophy Rooms! You'll Love yours too! B&B has been doing our taxidermy work for 20+ years. They always do a great job on everything. They are amazing on the "cats". Mike was instrumental on the design of our trophy room and gave it his personal touch. They have done so much for us that when he calls us to see how we want something mounted, we just say "surprise us" and he does! Everyone at B&B is friendly and aims to please.